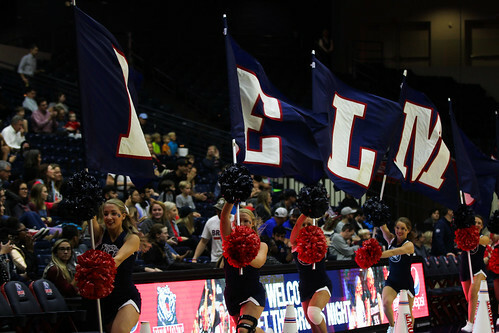 Belmont Bruins got fired up for the upcoming basketball season Monday night during the 10th annual Meet the Bruins event in the Curb Event Center. The event kicked off the basketball season with introductions of the 2017-2018 men’s and women’s basketball teams, music from the Bruin Blast pep band, opportunities for fans to meet and receive autographs from players, scrimmages and a few fan-involving games. The men’s team will take on Vanderbilt in the Curb Event Center on Monday, November 13 at 6:30 p.m. for its season home opener. The women’s team will take on Fort Wayne in the Curb Event Center on Wednesday, November 15 at 6 p.m. for its season home opener.